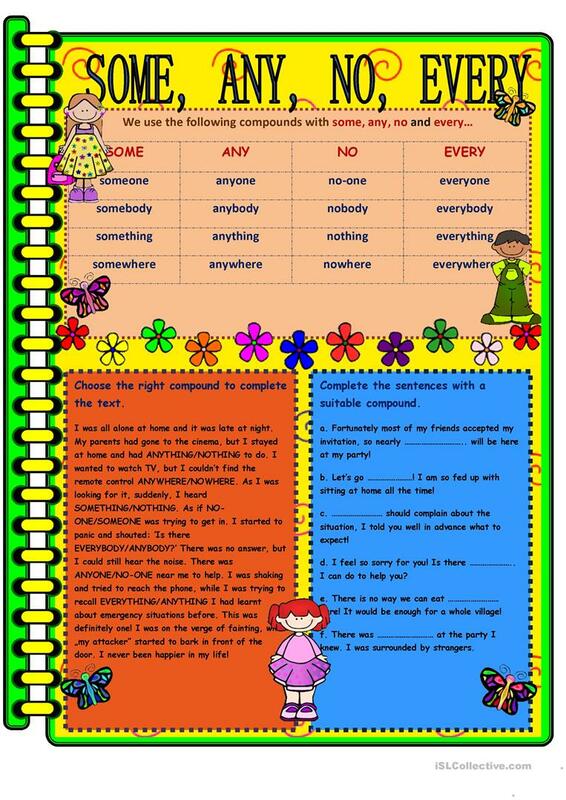 It is a grammar worksheet focusing on compounds such as SOME, ANY, NO, EVERY. Hope you find it useful! The above downloadable worksheet is meant for high school students and adults at Pre-intermediate (A2), Intermediate (B1), Upper-intermediate (B2) and Advanced (C1) level. It is a valuable material for improving your pupils' Writing skills.